A SUPER-DUO take on monstrous mountains dressed as their favourite superheroes in these series of adorable snaps taken in a bid to inspire others towards adventure. 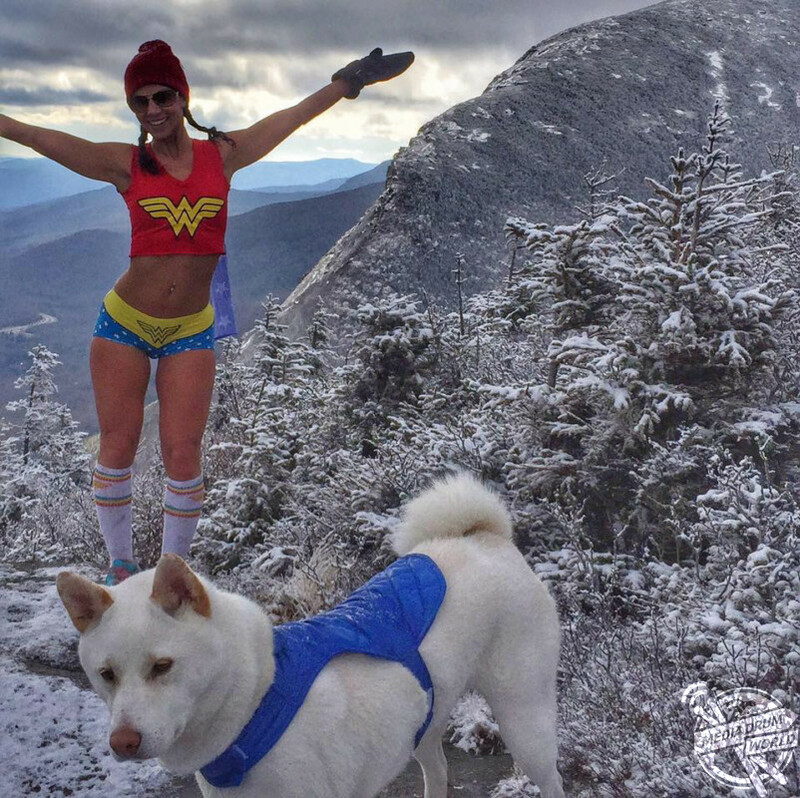 These superb photos show fitness enthusiast known as “Wander Woman” hiking through thigh-high snow in tiny Wonder Woman fancy dress with her trusty side-kick “Superpup”, complete with cape. 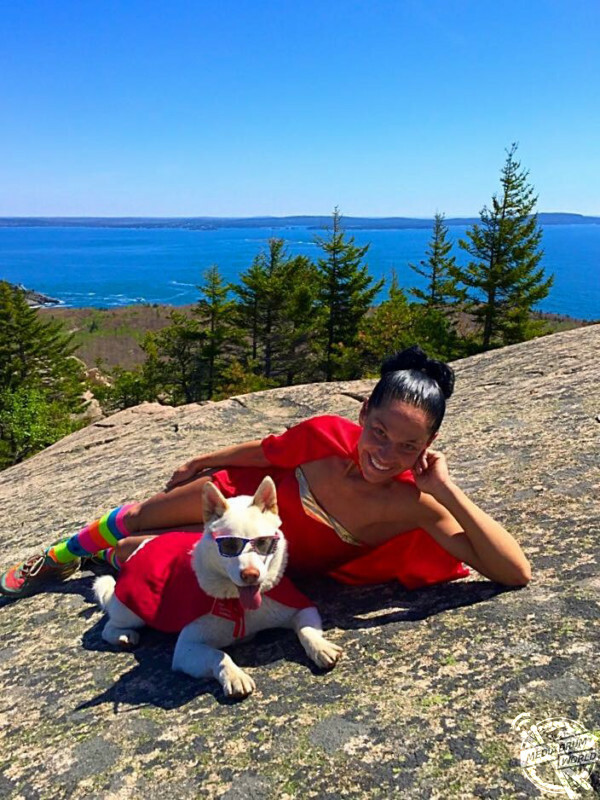 Wander Woman aka Alton Dadekian Eckel (35) and Superpup Cole began documenting their mountainous treks through New Hampshire, USA, on Instagram a few years ago. “A few years ago I was told that I was a superhero when racing and mountain running. 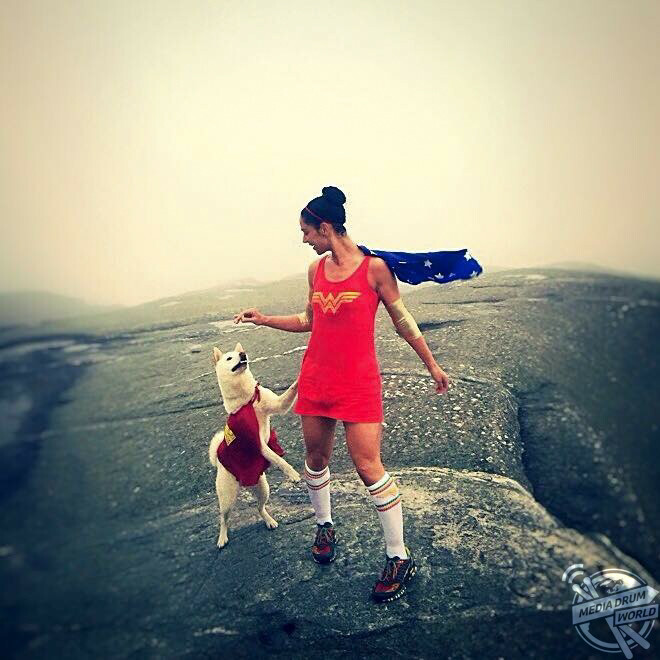 Since I’ve always loved fashion I began running in Wonder Woman costumes,” Alton explains. 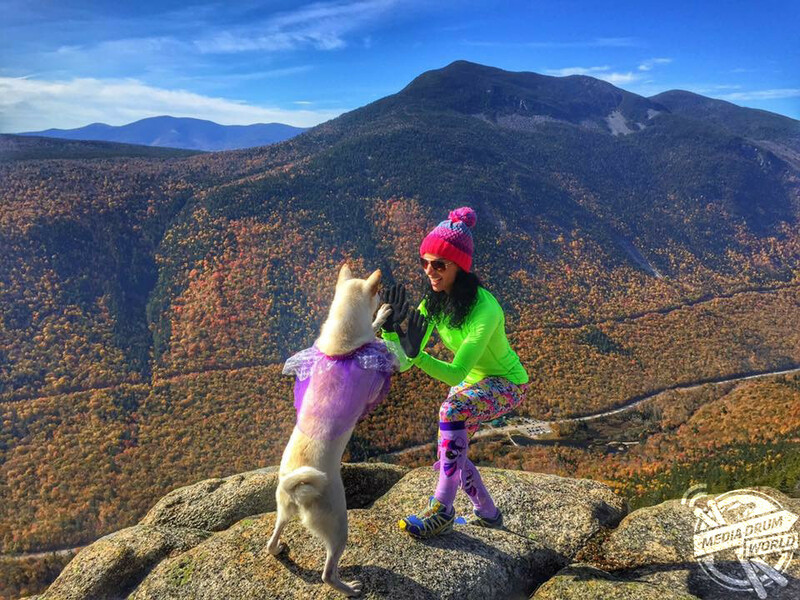 They regularly mountain run together competitively and even hold a record for the first dog and female to complete the Mahoosuc Traverse, a thirty-two mile race through New Hampshire. Cole is also a keen kayaker, these pictures show him balancing on the front of Alton’s kayak. 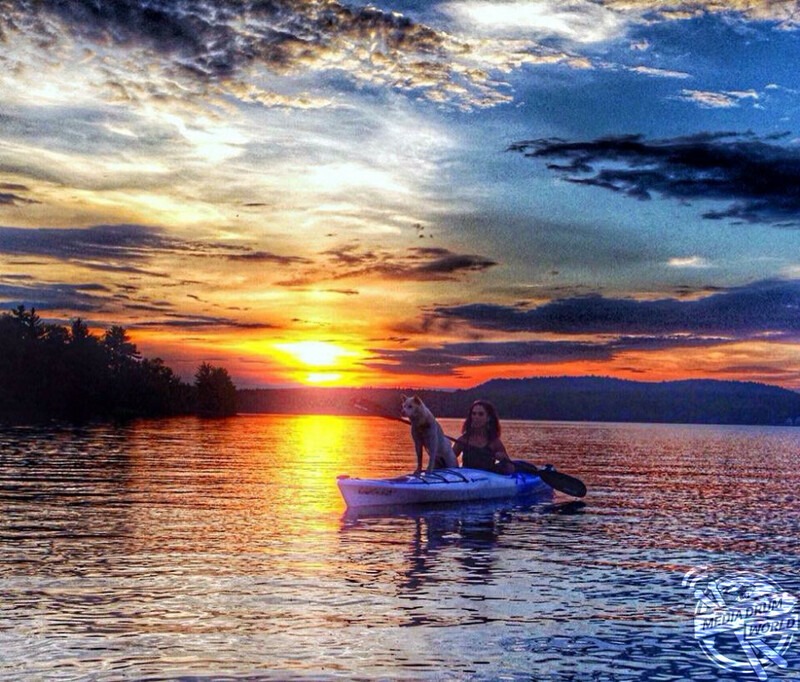 “He is always patient and calm when kayaking. He also loves to swim and chase waves at the ocean,” said Alton. 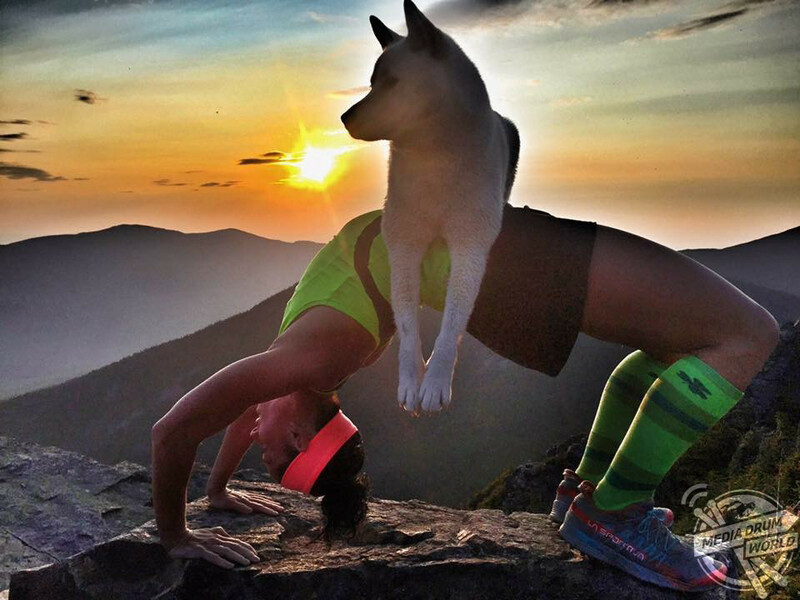 “Cole is an incredible dog. 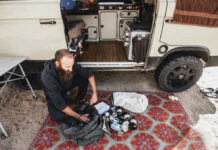 He naturally took to the mountainous terrain and steep boulders. Alton loves sharing these cute photos of her and Cole with her Instagram followers because she says they capture valuable moments. “These photos are nostalgic and special to me,” she added.